The former silver cutlery factory, built in the Jugendstil and now a listed, heritage protected building, first opened as a hotel in 1995. It offers 42 double rooms, 10 single rooms and 17 apartments, all equipped with shower and bath, WC, Sat-TV, telephone and minibar. The hotel has replete with a high class restaurant, a hotel bar, function rooms and elevator. 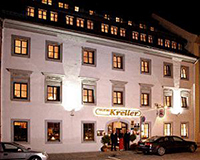 Situated in the centre of the Old City of Freiberg, our hotel offers 26 double and 7 single rooms, all furnished to the highest standard and equipped with shower/bath and WC and TV. Parking is provided in our courtyard, or in front of the hotel. Standard-double-room: starting at 85,00 EUR. 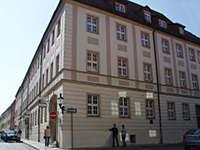 We welcome you to our family leaded hotel in the historical centre of Freiberg. Our hotel is a four star hotel according to the german DEHOGA hotel classification. The rooms are equipped with shower, WC, hairdryer, TV, radio, telephone, free WI-FI and lift access. In our steakhouse “Angus” we serve Angus steak specialties prepared on lava stone grill – a pleasure for fans of steaks. 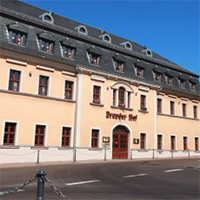 Our 3-Star-Hotel (according to German classification) has 22 double rooms and 15 single rooms. Make yourself at home in our comfortable rooms, equipped with shower, WC, TV, radio, telephone and Wireless-LAN Internet “Hotspot”. Our restaurant invites you on a culinary trip through the seasons in stylish ambience. To make it more convenient for you we are providing an hotel reservation form. Please use this to book your room.